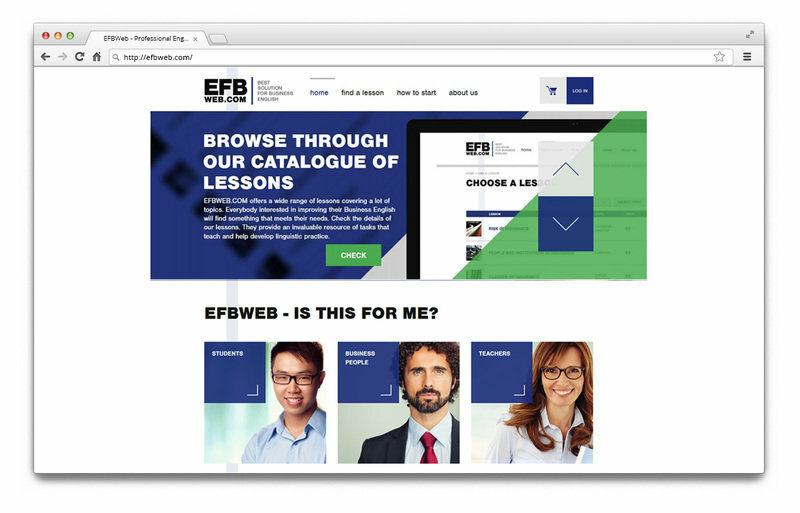 Main site of the EFBWeb e-learning platform. A course can be useful not only for advanced English speakers but also students and teachers. 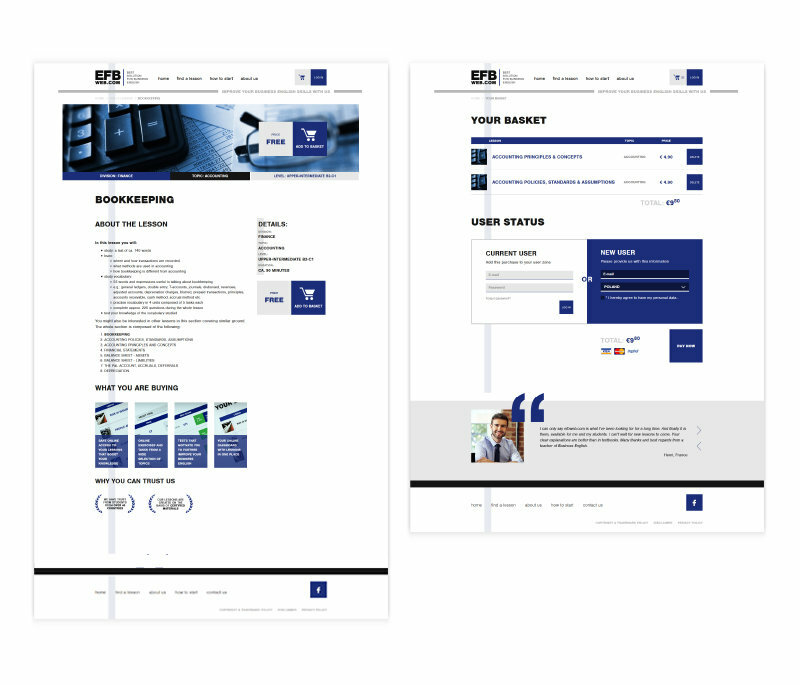 Using EFBWeb it is also possible to monitor progress in the level of knowledge and skills. Thanks to the system, not only advanced English teachers but also college graduates and those willing to develop their language skills can polish their Business English and use the online materials in their work. Leading structures for dictionary and grammar testing were achieved, making system ambitious for its users. 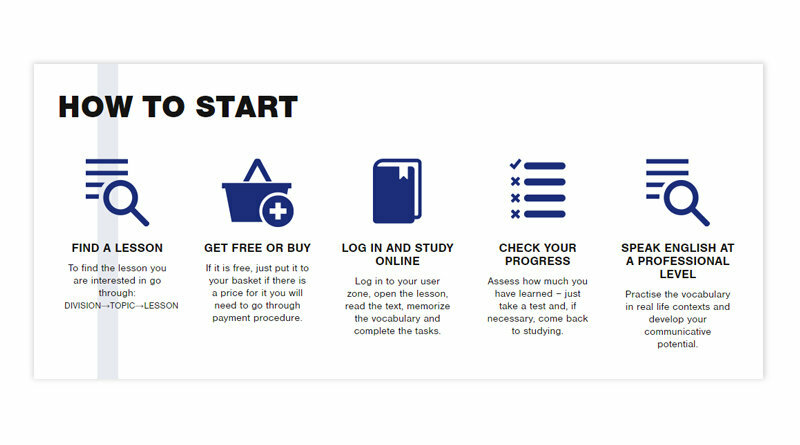 Users of the website can purchase extended business English lessons at affordable prices. Some lessons are available free of charge. Besides the whole design and construction of the website, Direktpoint Agency is also responsible for communications in social media. Pilot campaign in social media covers two continents – Europe and some regions in Asia. 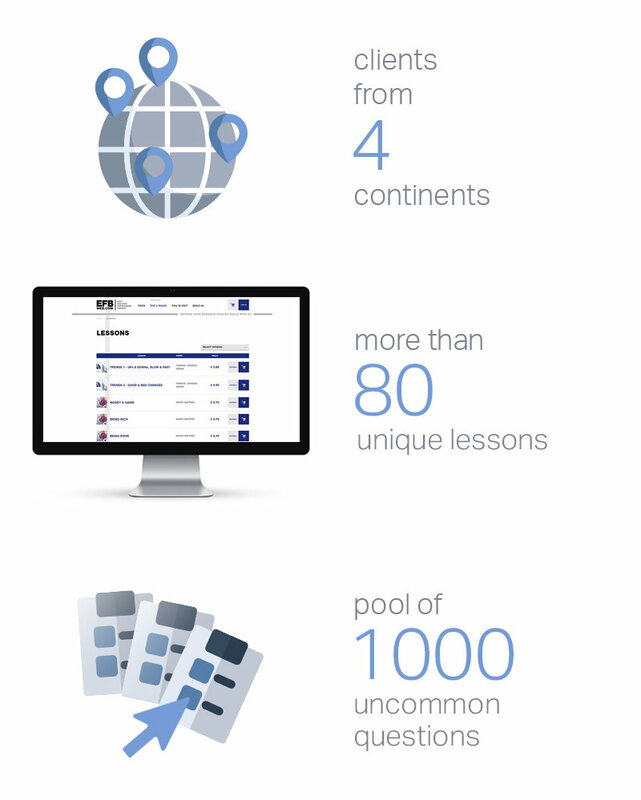 Online lessons based on unique IT solutions committed to efficient e-learning. 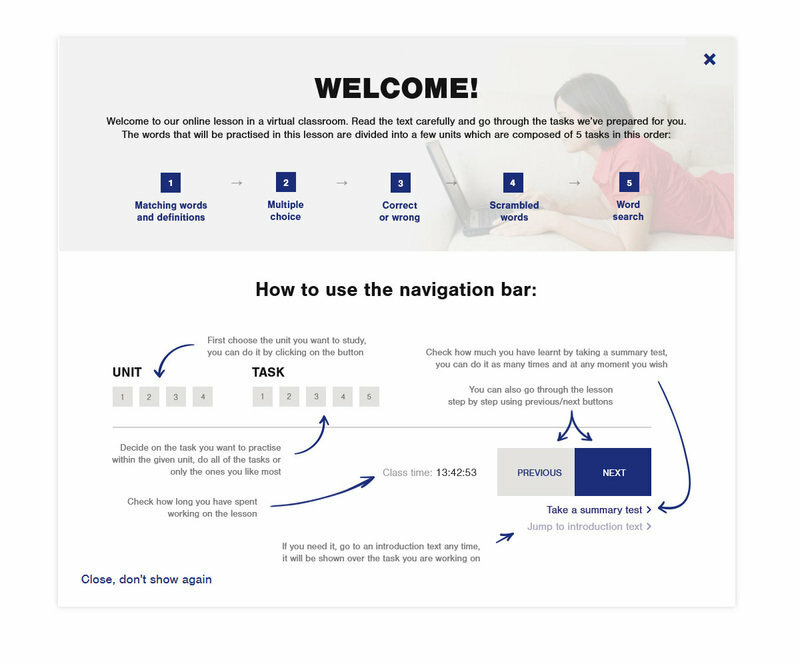 User can choose a lesson, then log in and go through it ending with a test checking its knowledge. Users can choose the division they are interested in. Then find the topic that meets their needs. Each lesson consists of a text that should be study and the most important words and phrases are in bold print. Once the topic were learned the material goes through units composed of 5 tasks each. Each lesson should be finished with a test that will provide an accurate result of users performance. The best result will be saved by the system. 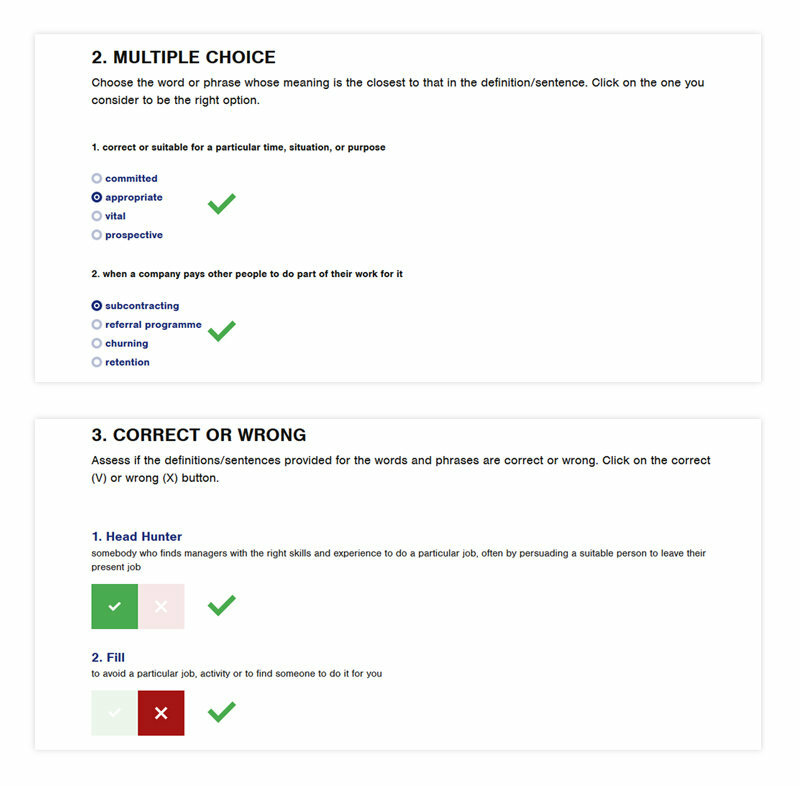 Different forms of practising new vocabulary: questions with multiple answers, correct or wrong sentences, matching tasks, scrambled words, word searches, (crosswords as bonuses). Visit the website and check how good your Business English is.